I think Summer is playing hide and seek with Fall. Summer is it and is ready to tag out, but we can't find Fall around here! It's a beautiful Saturday, but hot. I am ready for the cool, crisp weather where I can open my doors. I am also ready for all of those pumpkin flavored coffees, but it's so hot. I know what will happen. It does it every year. We might have a week or a short time of cooler weather then all of a sudden it will be freezing outside. This heat doesn't feel like football weather. I remember when my son played, I would be burning up even though his games didn't start until 7 pm. I would be in shorts, then it seemed like in a week I would need a blanket. I think I need to move somewhere that has 60 degree weather all year. Or, maybe I am just hard to please! I saw something on Fox News this morning and I really want to share. I don't get anything for sharing this, I just thought it was a really neat thing. Of course, I love supporting others who do anything artistic for a good cause. God gives us talents and I believe we are supposed to use them for Him. The best way to do that sometimes is through helping others. The guy's name is Troy Walker and he is an Army veteran. His best friend, who was also a veteran, took his own life five years ago. His widow couldn't afford his funeral so Troy went in debt helping her and other families. He began making beautiful flags to sell and get donations to help those in the same situation as his best friend's widow. How cool is that? He humbly downplayed his service, but any service to me is a selfless sacrifice for our country. For him to take his God-given talent and use it for the good and help of others is such a great thing. Pete Hegseth, one of the Fox anchors this morning, is also a veteran and said he wears a ring everyday that is a symbol of awareness for veterans who take their own lives. I just thought this was a great segment and I wanted to share. I love everything artistic, but what this man is doing is such a great thing. Click here for the link to the video. Maybe someone reading this needs this information or knows someone who does. There is so much hate and negativity in the world, especially our own country today, it's so nice seeing someone who is doing for others. He also says he prays before making each flag. He prays for the strength to make the flag. Maybe we can add him to our prayers. Do you know of something like this you can share in the comments? Please do if you have information. 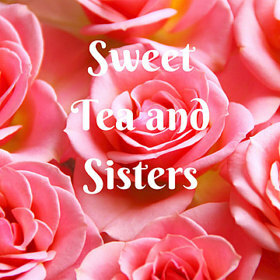 You can also message me at sweetteaandsistersjewelry@gmail.com I would love to post about other people like Troy.